In mid December I arrived back in the United States after having visited Bamako, Mali in West Africa. It was my first time traveling to Bamako, and my first time to West Africa in general. I was there with another Board member, Lisa Savitt, and the founder of ACFA, Kadiatou Sidibe, to visit twelve children and five staff members that are part of a non-profit called A Child for All (ACFA). A Child for All was started in 2008 to break the cycle of poverty in Mali. At a time of political conflict in this West African country, Mali needed organizations that could provide stability to its most vulnerable people in society: children. ACFA inserted itself into these social challenges to combat instability, taking on 12 young children who were begging on the streets to get food and had no access to education. ACFA’s program provided them with shelter, education, basic healthcare, and access to activities. ACFA believes that these components are the foundation to enabling a child to have a promising future, allowing them to get a job or get tertiary education and thus contribute to a more stable Mali. I have been on the board for A Child for All for almost two years. During that time, I have worked with our board of 10, located in Washington, DC. As board members, our job is to fundraise, deal with operations issues, and make organizational decisions to ensure the 12 kids in our program thrive. I wanted to reflect on our journey to Bamako, to share what we worked on, what we saw, and who we met with. It was made clear to me before my trip that most people only know Mali because of the conflict highlighted in the news. Many people told me not to travel there because of it. But I think it’s important to share with you all the promise that I saw there: both economic and social. As I write this, I realize it will require more than one blog post as I have multiple topics I would like to cover to give readers a full understanding of Mali and our experience. First, I want to focus on the work we did for ACFA. So, to start, I’ll share more information about what we accomplished for ACFA while we were there. 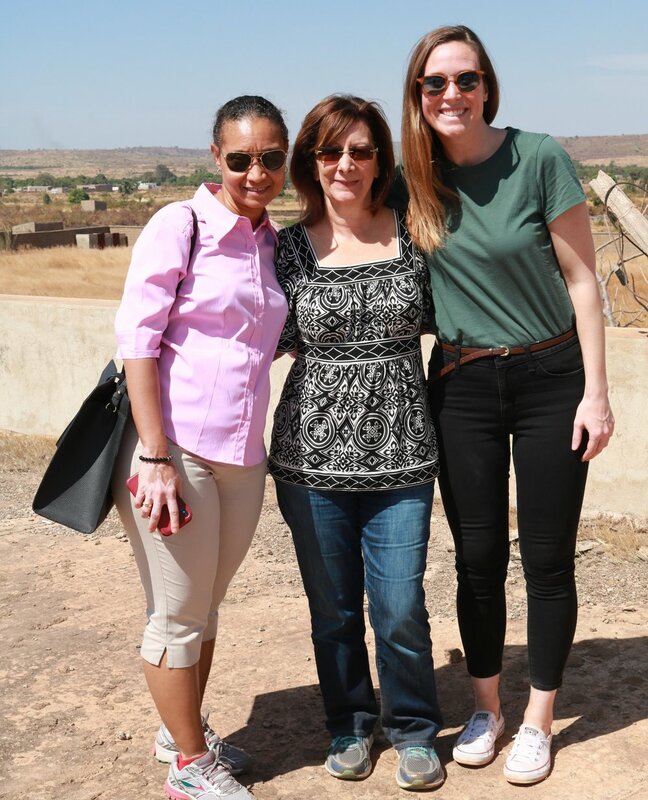 Lisa, Kadiatou, and I had three primary objectives for our trip: Relationship building, Operations, and Fundraising. Regarding relationship building, the most important relationship for us to focus on was our interactions with the children and staff. The first day that we visited the ACFA home, we were greeted by young teenagers who were smiling and anxious to learn more about their new visitors. To an American, it may appear at first glance that these children don’t have much, but when you know their stories, where they came from, and what their lives could have been, you begin to understand how important the ACFA program has been in establishing stability for many of these children. For example, one of our youngest girls, Bassan, was first brought to ACFA at a very young age, having been begging on the street for food. Her first month at the ACFA home, she continued to sneak food from the staff, not understanding that she would be fed regular meals every day. Years later, she is close with the other children, doing well in school, and has welcomed her schedule that keeps them all grounded. When I met Bassan, she was curious, shy, and very bright. She was quiet in her communication, but she found a way to connect with me quickly by braiding my hair. Soon enough, most of the other girls had joined in and it was such a fun way to bond with the girls that I knew so much about but had never met. Another essential component to our trip was identifying operations issues and correcting them while we were on the ground. As any board member of an international organization knows, when you are a working board, it is challenging to manage and have full knowledge of every issue when you are based in another country. Therefore, we had separate meetings with our staff and their management, making sure we provided a confidential environment for them to inform us of problems. This was a delicate task, as culturally it isn’t as comfortable for our staff to bring problems to our attention in such a formal way. However, many of the things we heard are fixable and are on our agenda for our board to discuss. For example, one of our staff members admitted that she was needing a new mattress. She had felt guilty brining it up, but upon inspection, we saw that her bedding was thin, worn, and in definite need of an upgrade. We quickly noted to speak to the board about adding a new mattress as an expense. Finally, we focused on fundraising. ACFA has big goals for the next several years, and these goals will require strong backing and financial support. In 2019, we hope to break ground on a new school at Zorokoro, the compound we are building that will be an all-inclusive destination for additional vulnerable children. Zorokoro will include dorms for 100 children, a school, health clinic, library, dining hall, and a lot of open space for the kids to run around and play. We focused on the public and private sectors while we were in Mali to raise awareness and gain financial commitments for FY19. We met with current and prospective donors including banks and private businesses. Because of those meetings, we secured a commitment of thousands of dollars for FY19 . We also met with ministers in the government including the Prime Minister of Mali which was an incredible turn of events and gave ACFA a national platform when the meeting was filmed and broadcast on national television and radio. You can find more about our meeting with the PM here. Overall, everyone we met with was so appreciative of the work ACFA is doing because they all see the opportunity gap in Mali for those living in extreme poverty. The 12 children we have in the program currently will go out into the world and either go to university or join a new business. With the help of our donors, we will also create an academic and social curriculum for the next 25 kids that we will take on soon. Can you imagine where Bassan would be if she was still begging on the streets for food? She is such a success already I can’t wait to see where she goes. That is all thanks to the program ACFA has created for her and the others like her in our program. I plan to write four more installments of this blog over the next two months. Readers will learn more about how we educate the ACFA children, their sporting activities (and awards), our progress on building Zorokoro (and what that project looks like), and finally more about the security and development of Mali in general. So please, stay tuned! Marley is the Global Planning & Performance Associate for the Ross Center for Sustainable Cities at the World Resources Institute in Washington, DC. In 2016, she was selected as a ProInspire Fellow which brought her to Washington. Marley has a background working in grassroots politics, economic development, and operations. Prior to joining WRI, Marley worked in process excellence for GE Capital and Wells Fargo. She was on the advisory board of an international non-profit focusing on global education, worked for an economic development non-profit in Chicago, and volunteered on two of Obama's campaigns. Marley holds a BA in Political Science and International Relations from Indiana University and an MA in International Development from American University. Check out this video of some of our ACFA kids trying sour candy for the first time!